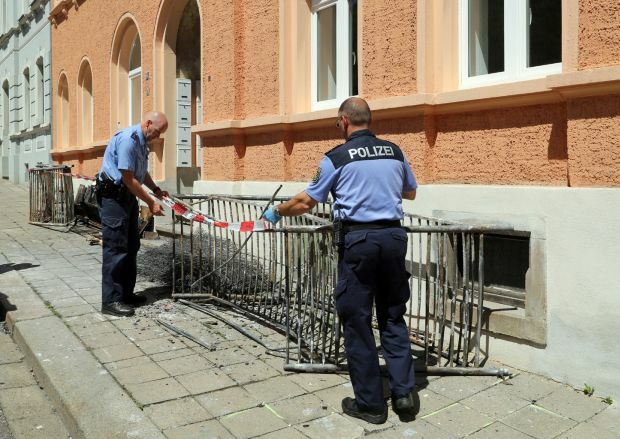 MUNICH (CNS) — A German Catholic Church leader condemned an arson attack that destroyed a reception center for asylum seekers. Cardinal Reinhard Marx of Munich-Freising, president of the German bishops’ conference, said the attack revealed that “some groups” were trying to “sow hatred” against migrants. About 1,200 of the 7,780 residents of the town, located 40 miles north of Munich in the Diocese of Eichstatt, had signed a petition against the project. Acknowledging that the number of refugees entering Germany had significantly increased since 2013, Cardinal Marx said people are risking their lives to fleeing war and conflict in the Middle East and Africa for the peace and security of Europe and other nations. In Bavaria, four new reception centers are being added to the three already existing, but towns and villages are being asked to find accommodation for refugees once their applications have been processed. “For many of them, it’s not the first priority to obtain good living conditions, but simply to survive,” he said. “No ifs and buts — these refugees, many of them traumatized, are entitled to have protection and care,” he continued.